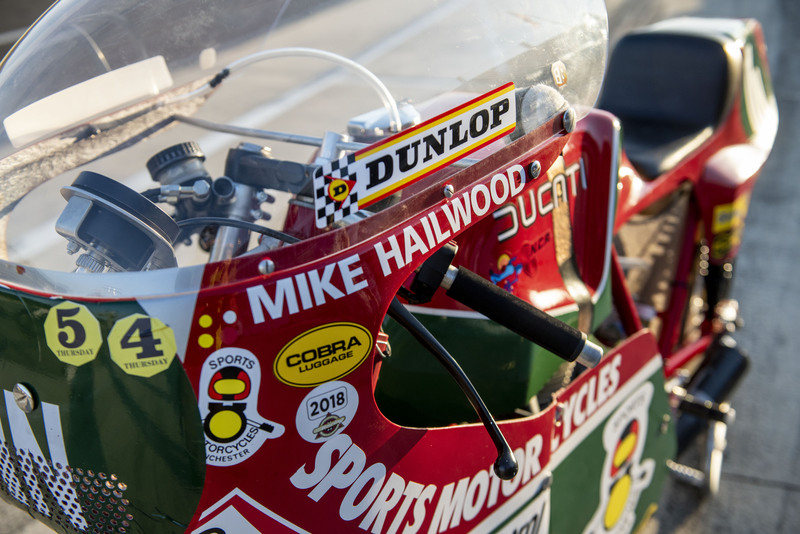 The 40th anniversary of Mike Hailwood’s fairytale comeback win at record speed in the 1978 Isle of Man TT was suitably commemorated at the 2018 Classic TT last August. 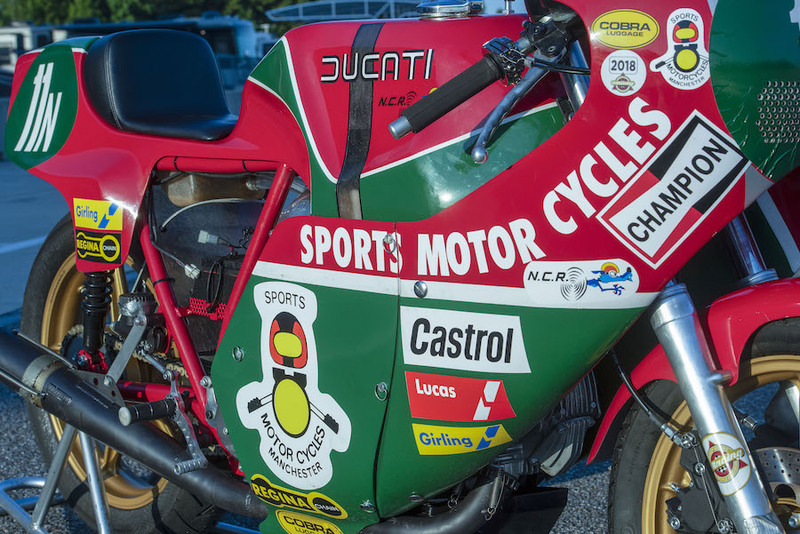 That’s when modern-day TT legend John McGuinness averaged over 160km/h on a demo lap par excellence aboard the very same Ducati that Mike the Bike used to win the TT Formula 1 race there four decades earlier, aged 38. 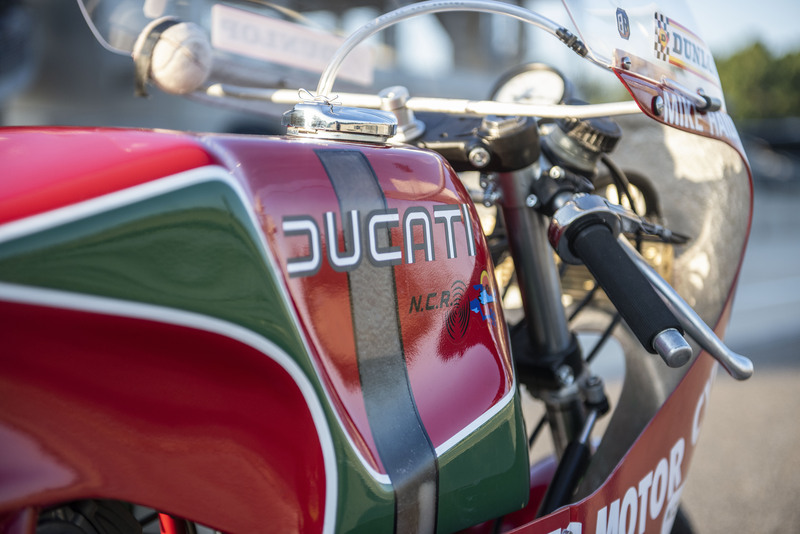 Mike Hailwood’s victory over the Phil Read-led works Honda team aboard his Sports Motorcycles Ducati 900 desmo V-twin is rightly considered to be one of the most remarkable feats in the history of motorcycle racing. 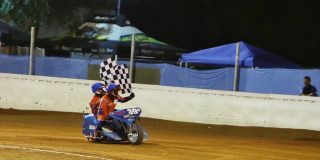 And is deservedly now part of the folklore of our sport. 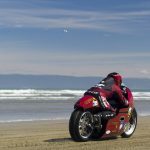 But there was another identical-looking such motorcycle in the TT paddock awaiting McPint’s return – the first of 12 exact replicas of the original TT-winning Ducati 900 TT F1 race bike. With the approval of Pauline Hailwood, Mike’s widow, and his son David, they are being constructed in Los Angeles by Vee Two USA. 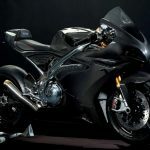 That production quantity commemorates his victorious #12 TT racing number, and these handmade machines are retailing at £110,000 ($195,000), with orders already placed for two of the dozen. 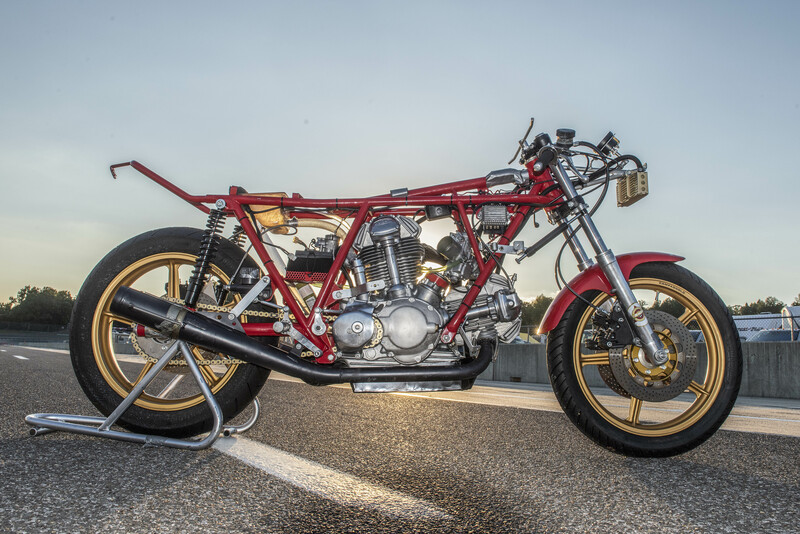 This replica – dubbed the V2H – was conceived by Western Australia-based Brook Henry, a globally respected longtime specialist in the first generation Ducati 90º V-twin desmo engine with bevel-drive sohc found in Hailwood’s bike. 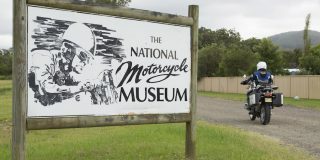 Henry’s company Vee Two Australia has secured the original technical drawings, as well the relevant casting moulds and various sets of proof castings, for the special factory desmo engine which powered Mike the Bike to that comeback win [see Technical sidebar]. This will ensure the motors powering the Vee Two Hailwood Replicas are externally exact copies of the one that took Mike to his historic win. 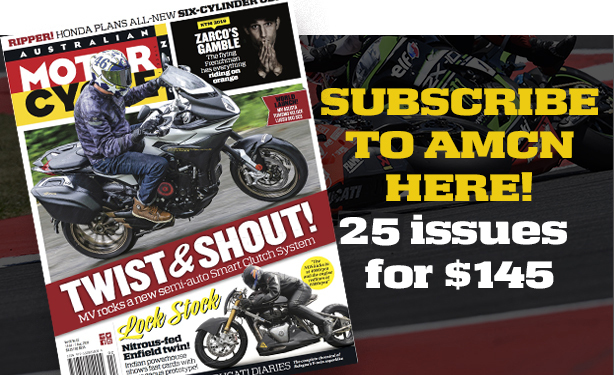 The engines, named the Ritorno – which is Italian for comeback – are produced in Australia by Henry, then shipped to California where each V2H bike will be assembled by expat Brit Paul Taylor, his partner in Vee Two USA. 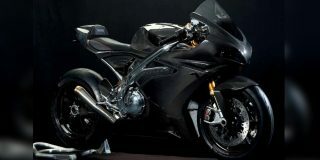 Taylor’s American company Taylor Made Racing manufactures performance exhaust systems and carbon fibre bodywork for the motorsports industry, and also designed and built the avantgarde Brough Superior Moto2 carbon monocoque racer which Jeremy McWilliams raced in the 2014 British GP. 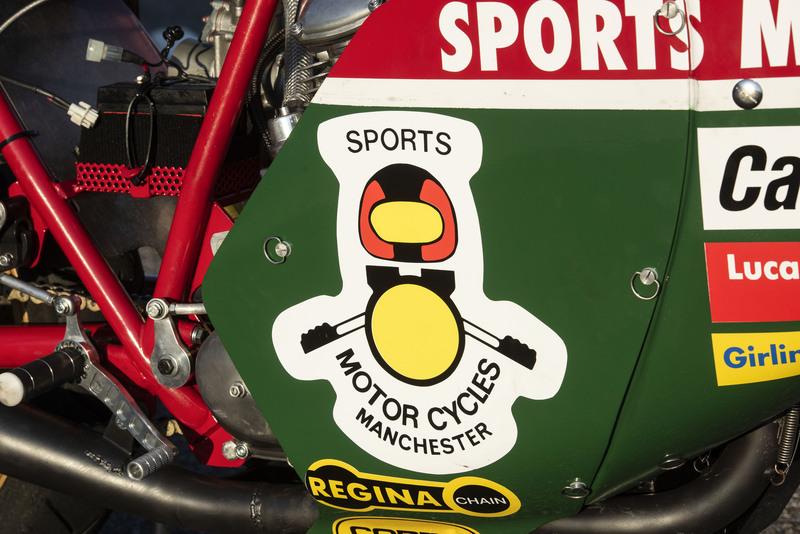 The V2H chassis is built in Italy by Pierobon, again using the original drawings for the race-winning bike’s tubular steel frame, and the bodywork is an exact replica of Hailwood’s Castrol-sponsored TT-winning machine, right down to the array of stickers on the red and green paintwork reproduced locally in LA. 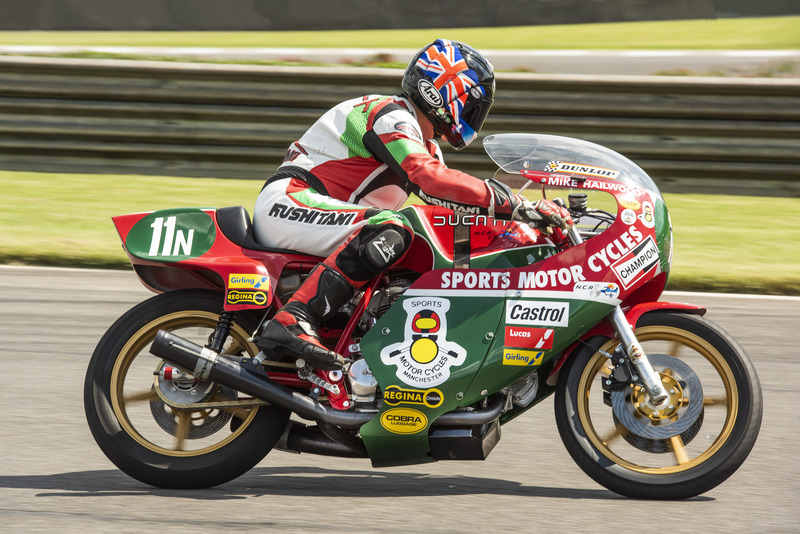 “It’s a true Hailwood Replica,” says Taylor. “But it’s been very difficult to get to this stage because of the lack of detailed information. 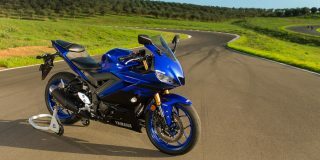 For example, getting the paint colour right was incredibly difficult, as the original bike has been repainted after Mike’s various racing incidents. But then we found a chap who lived above the old NCR workshop in Bologna, whose father was a painter for them. He told us the paint colour was actually Lancia Rosso Corsa – but you can’t buy it anymore. 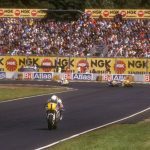 To help achieve this, Vee Two has also drawn on the expertise of Steve Wynne, the man responsible for sourcing the original NCR-built 900 TT F1 Ducati from the factory, and preparing it for the race under the Sports Motorcycles banner. I’ve ridden the Hailwood TT-winner in something approaching anger over the years, the first time exactly 20 years ago in celebration of Mike’s win in the Post-TT British TT Formula 1 Championship round at the tight but fast Mallory Park a week after his TT victory. 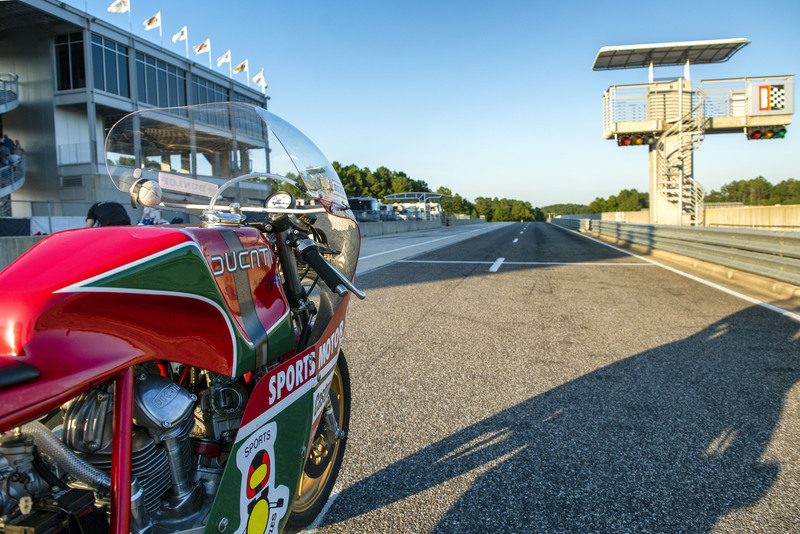 My chance to sample the first of the on V2H replicas came at a quite different kind of racetrack, Alabama’s tight, hilly 3.83km Barber Motorsports Park during America’s annual Barber Vintage weekend. Brook Henry and Paul Taylor had trucked the bike over from California for what in more than one way was a trip down memory lane for all three of us. See, Henry and Taylor first met in 1995 when I was racing for each of them at Daytona and all over Europe with some degree of success – for Taylor on his amazing Britten-beating Saxon Triumph in the BEARS World Series, and Henry in International F750 Classic events at the same race meetings on the Vee Two Ducati. The chance to mark their card as the only person so far to have ridden both the genuine Hailwood bike and their facsimile of it, was a nice way to meet up again. Slipping astride the V2H was also like yesterday once more, recalling in every way the times I’ve ridden the genuine Hailwood bike. The V2H has the same lazy, off-beat lilt to the torquey, punchy engine’s thunderous note emanating from the twin lookalike Lafranconi exhausts fitted with Triumph internals to try to satisfy the noise police. There’s the same stretched-out riding position and the same spare, spartan cockpit occupied only by a classical white-faced Veglia rev-counter red-lining at 8500rpm as on every one ever made. The same long Tommaselli handlebars that are surprisingly steeply dropped, almost 125GP-style, fitted with slender, curved levers that nestle easily into your glove. The same stiff operation for the dry clutch, with a sudden pickup as it grips thanks to the stiffer springs fitted to stop it slipping. The same fantastic braking response by the standards of 40 years ago from the trio of 278mm Brembo cast-iron front discs and twin-piston calipers, which even by today’s standards stopped the bike well once I’d bedded in the new pads, with lots of feel and progressive response – this was benchmark braking back then, a true leap forward in riding dynamics. 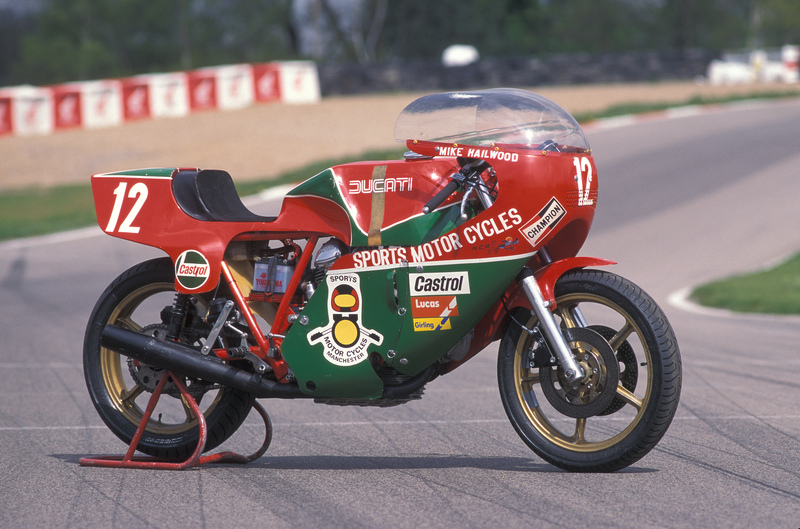 And the same rangy 1450mm wheelbase which is in fact a couple of inches (50mm) shorter than Paul Smart’s Imola 200-winning 750, as replicated on the green-frame 750SS Ducati I started my racing career on four years before Mike’s TT victory, and am still racing today with a Vee Two tuned motor. Yet the most remarkable thing you notice about the V2H is that just like the Hailwood 900TT1 it replicates, it feels so normal, so easy to sit on and ride by the standards of the late ’70s. Except for the substitution of an oil cooler for the headlamp that you might expect to find in front of you, and that Veglia revcounter staring back at you unaccompanied by a speedo, this could be any bevel-drive Ducati V-twin period roadburner with a fairing ever made. Yet this race chassis is a copy of the specially-made lightweight chrome-moly frame built by Daspa and ridden by Mike, with a broader swingarm than the standard 900SS one to accept the wider 3.50-inch Campagnolo magalloy rear wheel. 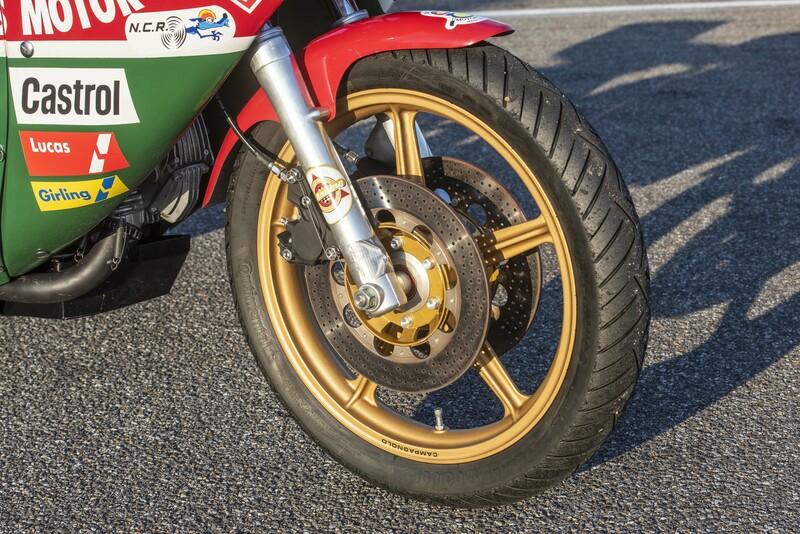 This might ideally have been shod with a treaded Dunlop as ridden by Mike, but for some reason V2H #1 was carrying a pair of modern 18-inch tyres, and my two sessions aboard the bike at Barber showed these to be quite unsuitable for the Ducati. 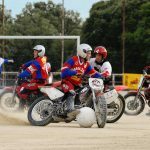 They took quite a long time to warm up on a 32ºC day, but then continued to feel distinctly unstable, as if the carcass was flexing under the weight and torque of the desmo V-twin, which made me feel like I was riding on a greasy surface when the track was perfectly clean. 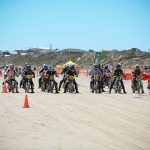 Vee Two USA managed to source a pair of Pirelli’s excellent new Classic racing tyres for the races, which allowed Mike Neeves to drop his lap times by four whole seconds to finish second in one of his two races. This is not merely a showbike, but a genuine repli-racer recalling the bevel-drive bikes Henry and I raced together to Australian TT victory at Bathurst, and to Victory Lane at Daytona and elsewhere 20-odd years ago. Mike the Bike would approve. 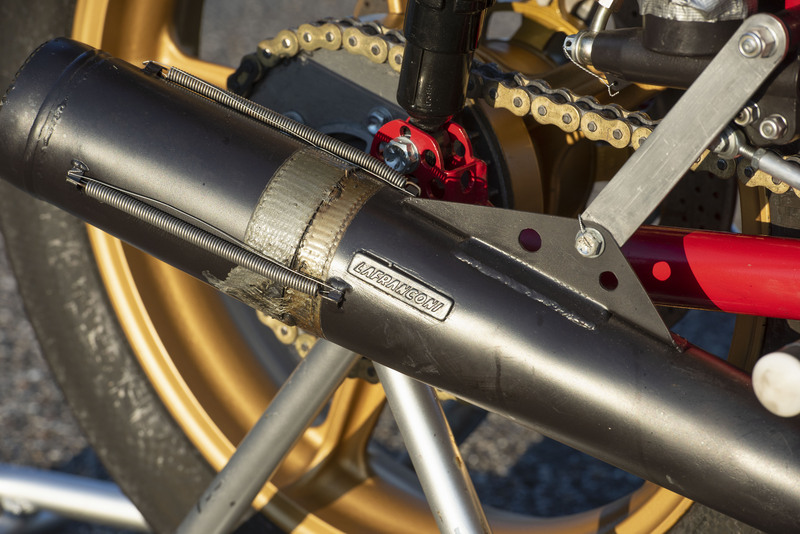 The advent of 13-inch Girling gas shocks like the ones on the V2H, replacing the shorter and less compliant Marzocchis the NCR Ducatis came with, were a godsend to those of us riding desmo V-twins in 1970s races, because not only did they improve handling and help jack up the back end to aid ground clearance problems, but they also steepened the effective head angle and sharpened up the steering. Same thing here, where just as on the original Hailwood bike they help make you less aware of that stretched-out wheelbase and conservative steering geometry (27º rake, with 100mm of trail), it steered adequately well into Barber’s succession of turns, without ever being exactly nimble. 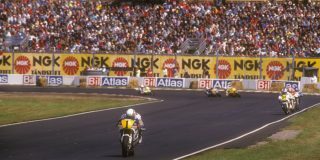 But the long wheelbase chassis felt ultra-stable through Barber’s fast third-gear chicane, just as Mike’s bike would have done at testing turns like Alpine Cottage or the Verandah in the IoM. Those steeply dropped clip-ons do at least allow you to tuck elbows and shoulders well in behind the comparatively protective fairing – a key asset on the TT Course, if not such an issue at Mallory or Barber. The riding position is quite individual by Ducati bevel-drive standards, though, not quite as stretched out as on my 750SS, because Mike opted for a fat backpad that pushes you forward to offset the inherent rearwards weight bias of the air-cooled 90-degree V-twin by using the rider’s weight to compensate.